Groves & Whitnall was founded by William Peer Grimble Groves, his eldest son, William Grimble Groves and his son’s friend, Arthur William Whitnall. Together they raised the £9000 required to purchase the Regent Road Brewery in Salford from Messrs Bathe and Newbold in 1868. From the outset, the partners were determined to make the brewery the most successful in the district. 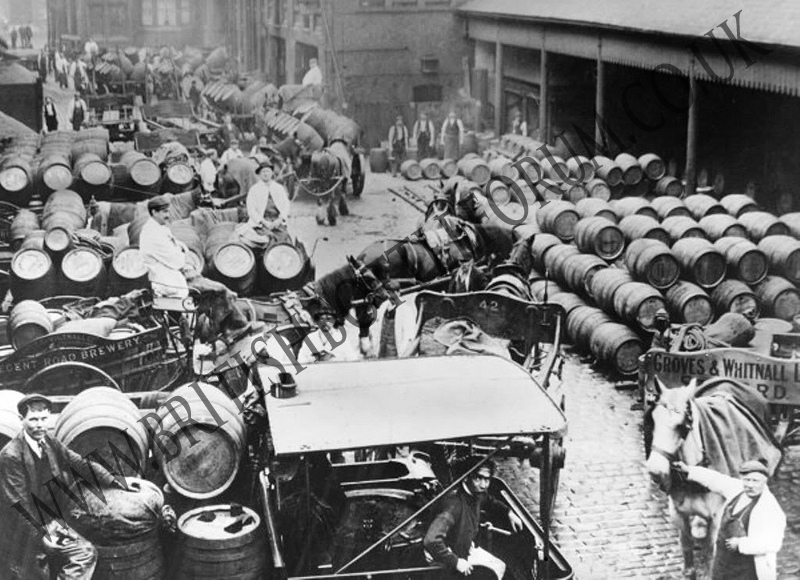 Arthur Whitnall reasoned that the brewery would prosper if it produced the finest ales and beers. He proceeded to find the best beer in the Manchester and Salford district by personally tasting them all ! This was no mean feat as there were approximately 80 breweries in operation at this time. He finally selected the ales produced by Beaumont & Heathcote in Chorlton on Medlock in Manchester . He approached the brewer, Mr Hill , and was able to persuade him to join Groves & Whitnall. In 1875, Mr Hill started producing ales for Groves & Whitnall. Arthur Whitnall’s faith in Mr Hill was soon paying dividends. Groves & Whitnall’s beers began to enjoy an excellent reputation, so much so, that there was a waiting list of would-be-customers. When Groves & Whitnall started up in 1868, they had no tied houses. By 1888 48 licensed outlets were being supplied. By 1898, there were 309 freehold and long leasehold licensed houses, 282 licensed houses on short leases and 748 dwelling houses. In 1885, a decision was made to enter into the mineral water business. This resulted in the formation of Leigh & Co headed by Charles Henry Leigh, a subsidiary that became wholly owned by Groves & Whitnall by 1899. The enterprising zeal which had set the brewery on the road to success was now focussed on the bottling trade. The new company chose to order mainly light amber glass bottles, which were embossed with the Globe trade mark (the new works went by the name of Globe Works). Coloured glass bottles were more expensive to buy than the usual aqua glass variety. However, as with the brewing of beer, only the best was good enough fro Groves & Whitnall. No doubt the amber glass bottles full of mineral waters would have been an impressive site in a district where only green and aqua bottle were used. The business of Leigh & Co prospered and became one of the largest in the district. In 1899, Groves & Whitnall became a limited company. It was decided to incorporate Leigh & Co entirely into the business. From 1899, all bottles were embossed Groves & Whitnall limited, though the bottles used continued to be in shades of amber. 1899 also saw the acquisition of J Cronshaw’s Alexandra Brewery Manchester, The rapid growth and success of the company slowed considerably after the turn of the century. In 1914, with the outbreak of World War One, the company lost most of its fleet of new lorries as the government of the day commandeered transport. World War Two was to have an even greater impact! On 22nd December 1940 , the brewery offices were destroyed in the Manchester Blitz. The following night, a landmine destroyed much of the mineral plant at Globe works. The war ended, and the brewery returned to normal life. Jewsbury & Brown kept the company supplied with mineral waters due to the war-time destruction of the Globe works. Through the 1950′s some smaller companies were acquired. Groves & Whitnall looked set to celebrate 100 years as an independent brewer. However in 1961, the company became part of the Greenall Whitley Empire, and the name of Groves & Whitnall passed into history. Fortunately for collectors, the name of Groves & Whitnall lives on, through the many pieces of breweriana that were once used by the brewery and its many tied houses. Such items were once part and parcel of everyday life, like the various bottles, ashtrays, bar jugs and match strikers. 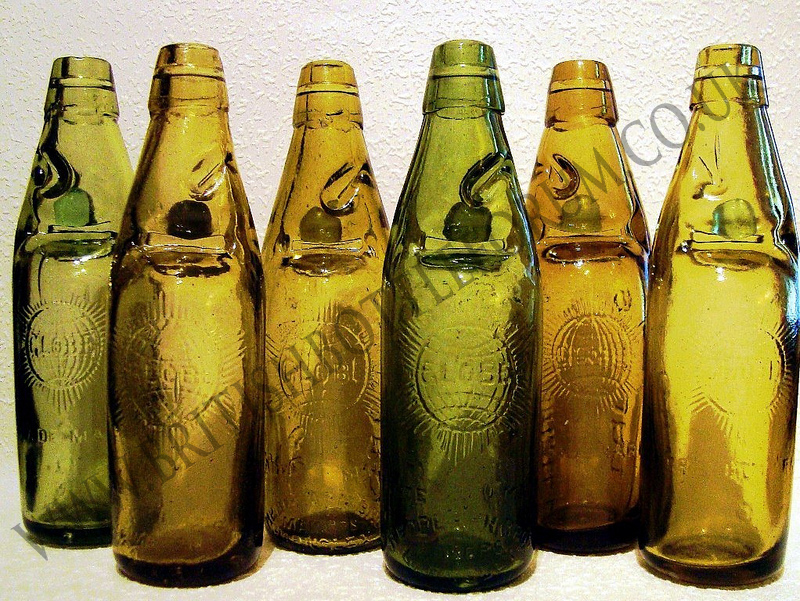 There are a large number of Groves & Whitnall bottles, many in collectable amber glass. The choicest example here must be the beautiful honey amber codd bottle embossed with a hand and arrow trade mark. This was used by Groves & Whitnall Hulme but the trade mark once belonged to Cronshaw of Manchester, s accompany absorbed in 1899. A whole range of jugs, match strikers, ashtrays etc bear the name Groves & Whitnall. In 1918, the company celebrated 50 years in business, and match strikers are known , which commemorate this event. In common with many other breweries, Groves had their own “house brand” of whisky for selling at their various outlets. This blend was known by the name G.O.H for short, or Grand Old Highland to give it the full title. Several artefacts have been discovered advertising this blend of whisky, including what is probably Salford ‘s one and only whisky jug. Advertising cards, bottle openers, old labels and old glasses for Groves can also be found. Over a period of one hundred years, three totally different trade marks were used. The first was the representation of the earth or Globe ,. The second was the hand and arrow trade mark. Last but not least was the Red Rose, seemingly used from about the onset of World War Two. .Groves & Whitnall was a very large and important brewery and presently, we have probably only seen a small fraction of the breweriana that may be available to collectors.